A NEW beautifully decorated Cambridge Collection: Ellsworth Next Gen® model home is NOW OPEN in the Falls at Imperial Oaks! Stunning new Cambridge Collection home designs by Village Builders are now available in Falls at Imperial Oaks! See a New Home Consultant for more information. 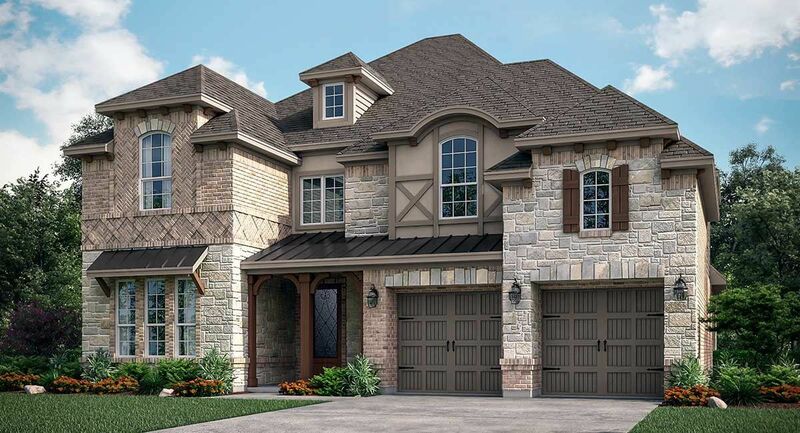 The Cambridge and Provence Collections by Village Builders feature stunning interiors and exterior designs with exceptional attention to details. These elegant homes feature beautiful amenities your family will love such as a study, island kitchen, covered patio, formal dining room, game room, media room, and a master suite with dual vanities. Hitting a new a level of sophistication, Village Builder’s Next Gen® series by Lennar is available in Falls at Imperial Oaks: Cambridge Collection. These homes are perfect for a variety of dual living situations and include a separate entrance, living space, kitchen, bedroom and full bath. Village Builders designed these unique floor plans to be incorporated into the main home in a way that allows it to be a separate space, but also offers direct access to the main home. See a New Home Consultant for more information today!